Unique waterfront property w/ water frontage both front and back! 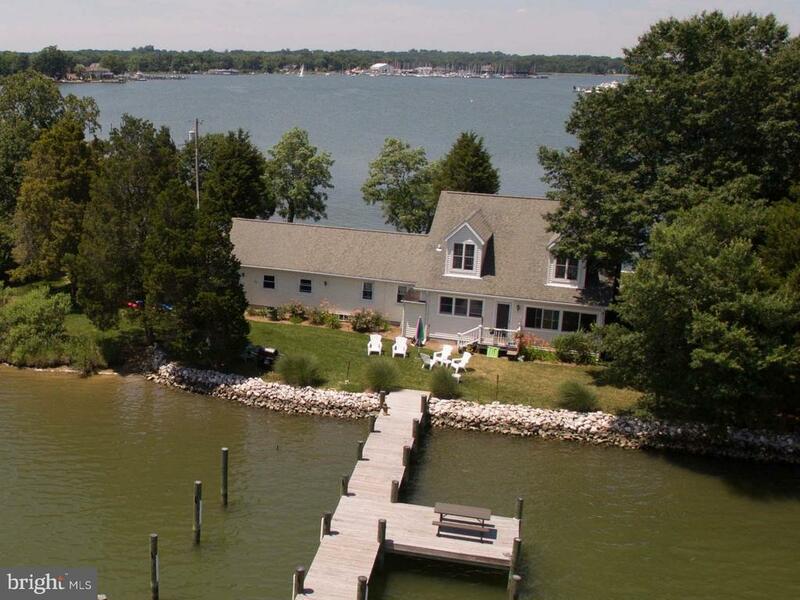 Panoramic view of West River in front & quiet protected views in back w/ private pier! Accommodate up to 35 sailboat & 25 power boat simultaneously. The enclosed front porch offers broad views to relax, entertain, watch sailing regattas & sunsets. Cruise in 5 minutes to waterfront restaurants and sailing club in Galesville!